To learn more about how and whether being strong can ward off disability, a team of researchers examined information from a study called SHARE. It involved a survey of people aged 50 and older across most European Union countries and Israel every two years. This survey collected information about health, social and economic status, and participants’ social and family networks. A total of 30,434 people participated in this survey. 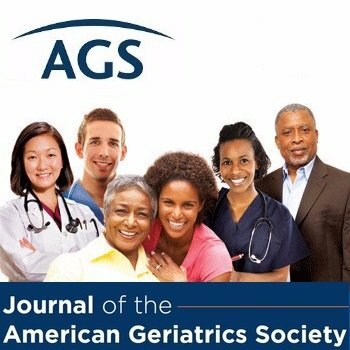 The research team who studied the information from SHARE published their findings in the Journal of the American Geriatrics Society. Answers to all ten questions were collected five different times. The researchers examined the effects of grip strength and cognition—the ability to remember, think, and make decisions—and how those affected the participants over time. The researchers learned that maintaining grip strength and protecting mental ability might prevent or delay disability. This summary is from “Weak Grip Strength and Cognition Predict Functional Limitation in Older Europeans.” It appears online ahead of print in the Journal of the American Geriatrics Society. The study authors are Tong Wang, MS; Yili Wu, PhD; Weilong Li, PhD; Suyun Li, PhD; Yanping Sun, MD; Shuxia Li, PhD; Dongfeng Zhang, MD; and Qihua Tan, PhD. This entry was posted in JAGS Research Summaries and tagged cognition, disability, functional limitation, grip strength, physical function by HIA Guest Blog. Bookmark the permalink. Get every post delivered right to your inbox. ©2019 AGS Health in Aging Foundation All Rights Reserved. HealthinAging.org does not provide medical advice, diagnosis or treatment. See additional information.